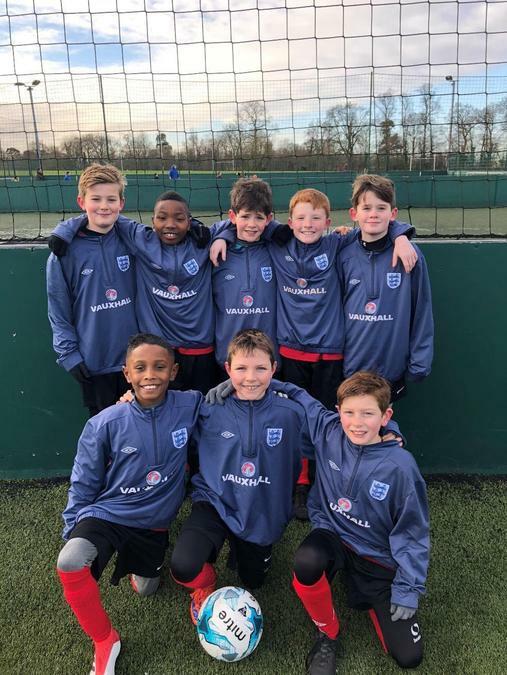 On Wednesday 7th February, 8 Year Six boys took part in the Premier League Primary Stars Tournament, which was hosted by Watford FC at Queens School, Bushey. We were placed in a tough group and after a slow start and a defeat in our first game, the boys picked their heads up and fought hard to win their next games 12-0, 2-1 and 2-0. These great results placed us joint top of the group and we qualified for the semi-final where we would play Rhodes. The boys played absolutely brilliantly but unfortunately lost 3-2 and Rhodes went on to win the competition. Well done to: Cian McGrath-Brown, Alex Wilson, Pierce Long, Billy James, Verrell George, Morgan Ducran and Alex Hipwell. A special well done to Harry Perkins who Mr O’Brien selected as Player of the Tournament. Thank you to Mr O’Brien and Mr Kelly for coaching the team and to Mr Betts for driving the mini bus. Well done boys, we look forward to your next match.